We participated in INTERMOB 2012 Furniture and Wood Working Machinery Exhibition held on 13-17 October in Istanbul TUYAP Fair Center with KINGDryer stand. 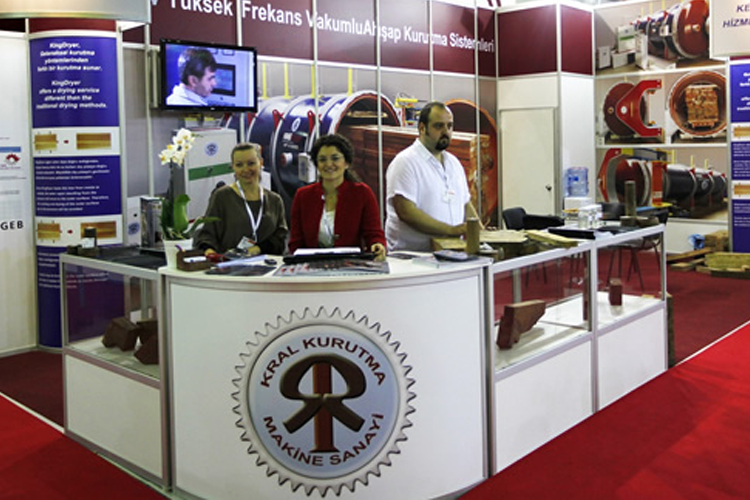 On 13-17 October in Istanbul TUYAP Fair Center, INTERMOB 2012 Furniture and Woodworking Machinery Exhibition was attended by the KINGDryer stand. Visitors at the KINGDryer booth were introduced to the Eco-Friendly Desiccant which is fast and high-quality.